Tencent joined Watsi on January 16th, 2014. 13 other people also joined Watsi on that day! Tencent's most recent donation supported Richman, a farmer from Malawi, to fund prostate surgery. Tencent has funded healthcare for 891 patients in 18 countries. Richman is a farmer from Malawi. He lives with his wife and their extended family. He keeps goats to supplement the family income and in his free time enjoys listening to the radio. Since 2014, Richman has been experiencing pain and inability to urinate. These symptoms are caused by an enlarged prostate, a condition called benign prostatic hyperplasia. He needs to undergo a prostate resection surgery, a procedure in which surgeons will remove part of the enlarged gland. Our medical partner, World Altering Medicine, is requesting $733 to fund Richman's surgery. 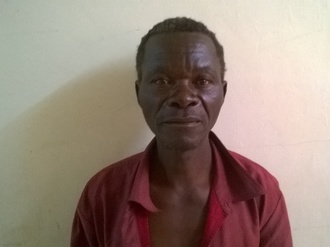 On September 12, he will undergo prostate surgery at Nkhoma Hospital, our medical partner's care center. The requested money pays for supplies, medications, and two weeks of hospital stay. Richman is looking forward to going back to his normal activities. "Thank you so much for this support," he says. Benjamin is a 32-year-old man from Malawi. He lives with his wife and their two young children. He works as a farmer in order to support his family. Recently, Benjamin developed an inguinal hernia. This means that his intestines are protruding through a gap in his abdominal wall. This causes him tremendous pain and makes it difficult for him to work. Benjamin underwent surgery at a local health center, but the surgery was performed incorrectly. The operation left him with an infected wound and experiencing more pain than he had before surgery. He came to our medical partner's care center in search of assistance, and they were able to disinfect his wound. He is now able to undergo surgery to properly fix his hernia. Our medical partner, World Altering Medicine, is requesting $334 to fund Benjamin's operation. He is scheduled for surgery at our medical partner's care center, Nkhoma Hospital, on August 22. After treatment, he will be able to return to his family free of pain. "Thank you for this support," Benjamin says. Milesi is a 48-year-old woman from Malawi. She lives with her husband and four children, spending her days caring for them. On a daily basis, she fetches water, cooks, cleans, and helps her husband with their small farm. Recently, Milesi has been experiencing severe abdominal pains. Doctors determined that Milesi has a cancerous mass that requires a hysterectomy in order to be removed. Without this surgery, Milesi's health will deteriorate very quickly. Our medical partner, World Altering Medicine, is requesting $650 to fund Milesi's surgery. She is scheduled for her hysterectomy on August 8 at our medical partner's care center, Nkhoma Hospital. After this operation, Milesi will be able to live a full and whole life with her family. "Thank you, thank you, thank you," Milesi says. Mean is a motorcycle taxi driver from Cambodia. He has three sons and two grandkids. He likes to watch the news on TV. 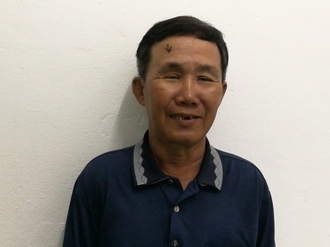 Two years ago, Mean developed a cataract in his right eye, causing him blurry vision. He has difficulty seeing things clearly, recognizing faces, and going anywhere outside. When Mean learned about our medical partner, Children's Surgical Centre, he traveled for one hour seeking treatment. On May 10, doctors will perform a small incision cataract surgery and an intraocular lens implant in his right eye. After recovery, he will be able to see clearly. Now, he needs help to fund this $211 procedure. His wife says, "I worry about my husband being blind and he can’t do his work as a moto driver." Yum is a rice farmer from Cambodia. She has one son, three daughters, and three grandchildren. She likes to watch the news and TVv programs. 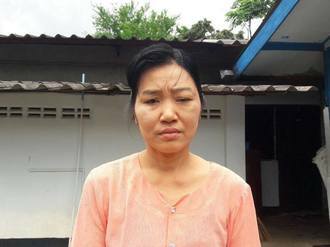 One year ago, Yum developed a cataract in her left eye, causing her blurred vision, pain, itching, tearing and photophobia. She has difficulty seeing things clearly, recognizing faces, and going anywhere outside. When Yum learned about our medical partner, Children's Surgical Centre, she traveled for two and a half hours seeking treatment. On May 10, doctors will perform a small incision cataract surgery and an intraocular lens implant in her left eye. After recovery, she will be able to see clearly. Now, she needs help to fund this $211 procedure. She says, "I hope I can see everything clearly so I can learn about Buddha and do my work at home." Kyal is a 18-month-old girl from Thailand. She lives with her family in Mae La Refugee camp, Tak Province. Her mother noticed that there was a small mass between her nose and the corner of her eye, and as the baby grew the mass became larger. Kyal was born with encephalocele, a type of neural type defect characterized by sac-like protrusions of nervous tissue through openings in the skull. Both incomplete bone fusion in the skull and incomplete closure of the neural tube contribute to this condition. If left untreated, the lump will continue to grow, heightening the risks of developmental delays and permanent neurological impairment. Our medical partner, Burma Children Medical Fund, is requesting $1,500 to help cover the cost of corrective cranial surgery for Kyal, which is scheduled to take place on February 4. Surgeons will remove the protrusion and correct the skull defect, hopefully eliminating the risk of future neurological complications and allowing Kyal to develop along a healthy trajectory. Kyal's mother says, "I worry that my daughter will grow up and cannot see well because of her symptom." Kyaw is a 14-year-old boy, and he is a sixth grade student from Thailand. He lives with his parents in Mae Sot, Tak Province. He loves to play football and cane ball. On January 31, 2018, Kyaw was playing kickball at school during his lunch break when he tried to dodge the ball and fell, catching himself on his left arm. Both his radius and ulna were fractured. He was in pain, and there was swelling around the site of the fracture. As a result of his injury, he will be missing school for at least a couple of days. His sister also had to miss school on January 31 to accompany him to our medical partner's clinic. With the help of our medical partner, Burma Children Medical Fund, Kyaw will undergo surgery to reset his fractured bones and ensure proper healing. The procedure is scheduled for February 1 and will cost $1,500. He will be able to return to school and play with his friends again. Kyaw's teachers say, "We are grateful you are able to help him because our school doesn't have much of a budget and his parents couldn't afford to pay for this either." Moo is a two-year-old boy from Burma. He lives with his family in Pa-pun township, Karen State. He likes to play and enjoys singing at school. Since 2016, Moo has had an inguinal hernia. He has been crying regularly and cannot eat, drink, or sleep comfortably. Fortunately, on February 1, he will undergo hernia repair surgery at Mae Sot General Hospital, our medical partner's care center. Our medical partner, Burma Children Medical Fund, is requesting $1,500 to fund Moo's hernia repair surgery. The procedure is scheduled to take place on February 1 and, once completed, will hopefully allow him to live more comfortably. Moo's mother says, "After my son is better, I will send him to school. I want him to become a medic when he grows up." Ei is a 24-year-old woman from Burma. For the last eight years, she has been living in Thailand. She has recently completed her certification and is an official medic with family planning expertise. When Ei was nine years old, she was playing with her friend and fell into a large gutter. In the fall, she dislocated and fractured her right leg/hip. Her family did not have the financial capital required to seek treatment, so Ei has lived with this condition ever since. She regularly experiences a throbbing hip pain that extends down the back of her leg. Some days, she is in such great pain that she cannot get out of bed in the morning. "I am very worried that my medical condition is getting worse," Ei says. "I am experiencing more pain on a regular basis. I have taken a lot of time off work and am feeling depressed due to pain and feeling embarrassed when people notice my limp. I hope to have surgery soon so I can be healthy and strong." Our medical partner, Burma Children Medical Fund, is requesting $1,500 to fund Ei's surgery. She is scheduled for treatment at our medical partner's care center, Maharaj Nakorn Chiang Mai Hospital. After her operation, Ei will be able to live and walk free from pain. Khaing is a 45-year-old woman from Burma who lives with her husband and four youngest children. She also has four older children who live away from home. Khaing and her husband work as day laborers on a rubber plantation. In March 2016, Khaing started experiencing severe headaches. After a few days, her headache was still very bad and her left eye started to swell. She could not afford to go to the hospital, so she bought analgesics over the counter. The medicines helped reduce her headache, as well as the swelling in her eye. In September 2016, she started to have frequent headaches again, and over time her eye swelled again. She took the same medicines, but this time they did not help. With time, her eyesight started to deteriorate. She decided to seek treatment in early 2017. 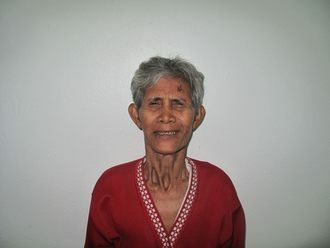 Khaing has a benign tumor behind her eye that needs to be removed to alleviate her symptoms. The procedure will cost $1,500. "I have many children to feed. 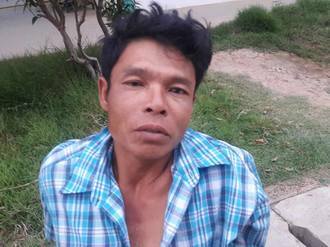 I want to get well soon so I can go back to work," Khaing says. Meet Aye, a 40-year-old Burmese woman. After the birth of her son, Aye began experiencing symptoms related to a prolapsed uterus. These symptoms have lasted for over five years. Aye currently lives with her father and son, and the three of them rely on financial support from her two older sisters. Aye first visited a hospital that recommended that she undergo surgery. However, the family was unable to provide money for the surgery. She then attended a clinic, where she was referred to our medical partner's care center, Mae Sot General Hospital, to undergo further examination. It was confirmed that Aye had a prolapsed uterus, and she was recommended to undergo surgery to remove her uterus and to end her discomfort. In order to fund Aye's vaginal hysterectomy, our medical partner, Burma Children Medical Fund, is requesting $1,500. This will support the cost of the procedure, the hospital stay, and other related exams and medications. Aye's surgery is scheduled for June 7 at Mae Sot General Hospital. Myo is 37 years old. He and his wife have two sons. The couple work as agricultural laborers in Thailand. 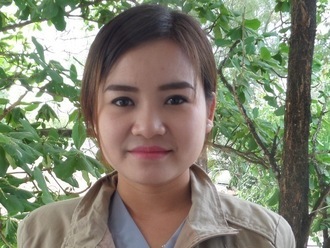 Myo moved to Thailand eight years ago to seek better job opportunities. They work on rice, beans, and corn plantations. Myo decided to stop working for a month and spend his time repairing their old house instead. His was working on the roof and needed some bamboo as material. Myo went out with his two friends to retrieve some bamboo from a grove near their home. They loaded the bamboo onto a big trolley. On the drive back, one of the trolley tires exploded, and his friend lost control of the handle bars. The impact pushed Myo forward and off the trolley, and the wheels ran over his left leg. His two friends had to lift the trolley up to let Myo out. They got Myo onto the motorbike and drove him to a clinic. When he arrived at the clinic, he was still bleeding continuously. The medics helped clean and bandage his wounds before transporting him to our medical partner's care center, Mae Sot Hospital (MSH). At MSH, he received an X-ray and was found to have an open fracture of the left tibia. He is now scheduled to have an internal fixation to help his tibia heal properly on May 12. Myo's wife is very concerned about not being able to afford her husband's medical treatment. They need help raising the $1,500 necessary for Myo's surgery. After treatment, Myo will be able to finish repairing his house and go back to work.